Banned for not posting a picture of boxxy. Banned for knowing that stuff actually has a name, and naming it. And also for being the obnoxious older brother. Your niece misses you. Banned for attempting to create ortho-chan. Banned for rejecting the idea. Now I'm feeling like an old fogey. Oh, btw, banned for silly accent in your name. Banned for not knowing that srsly means "seriously? !?!?" Also for not knowing that Boxxy is the name if a teenage lurker on a below mentioned message board that every neck beard, basement dweller, and wanna-be hacker is in love with. Furthermore, I declare banathema for not getting my joke about ortho-chan and the real life anaonymous message board called 4-chan, where the aforementioned teenage girl and her compatriots lurk. Banned for being a total zoidberg! Let me get this straight, you're banning me for Not being a neck beard, basement dwelling, wannabe hacker? Boy, the requirements for membership here sure are tough! Oh yeah, Peter J is banned for not using Zoidberg's title of Dr.
No you're just Banned for not knowing (which really is a plus on your side). You're banned for not knowing what a total zoidberg is. And dcommini for being the person above. Banned for exposing the ignorance of others. Banned for not being a phyletist. Banned for having two youtube links in every post you make. Banned for having a picture of a Latin soldier on your Orthodox blog. Banned for banning a deployed member of our armed forces during memorial day weekend. Aindrú, you are banned for not getting the symbolism of the Latin soldier on my Orthodox blog. I chose that picture for two reasons, 1 because I am a Christian soldier and many people in the West would understand the crusader image, especially given this current war we are fighting where some believe we are just fighting another crusade. And 2 to show how I have come full circle; my family started out Orthodox, before the schism, then became Roman Catholic after the schism - and slaughtered Orthodox - then my family became Protestant, and finally my brother and I became Orthodox. Before you ban yourself, I ban you. Before I ban Aindriu, I hereby ban dcommini, who has escaped banning so far. I ban him in honor of his service! He's overseas to ensure that we continue to have the right to post silly threads! This one's for you, bro! Aindriu, banned for practice of Magic! 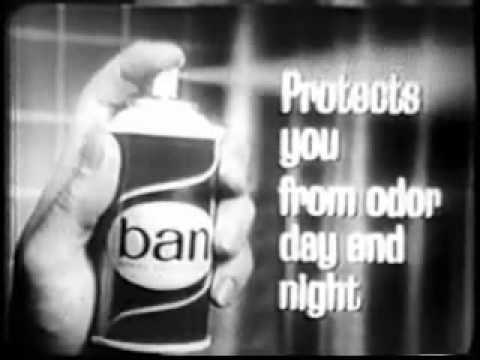 ^Banned in the name of personal hygiene. Banned for implying that my brother is odorous. I got your back, bro. Banned for not realizing that I am a trained killing machine with two deployments under my belt, anything in my hands is a weapon, including your own hand. Bring it on! I'll wear my kilt so you have to tell everybody that you got whooped by a guy in a skirt. Oh, and thank you to all who thanked me for my service. Banned for being a leg. Banned for finding me out. Banned for choosing an Army uniform over Marine Corps dress blues. Banned for implying that the Army doesn't have any dress blues. I'll take mine over theirs any day. Banned for lack of banning. Peter J is banned for over-banning, and Aindriu is banned for insults and for using a picture of Satan as his profile avatar. Quote from ilyazhito: "Peter J is banned for over-banning, and Aindriu is banned for insults and for using a picture of Satan as his profile avatar." After looking at Topic Replies # 345, 218, 216, 199, and 43, All of which were bannings, I hereby ban ilyazhito for hypocrisy! I hereby ban ilyazhito for hypocrisy? Banned for not being sure you're actually banning. Banned for having an invalid argument. Banned for having escaped banning for more than 36 hours! Bring on the wrath! Banned for having half your posts being bans. Banned for starting this thread just so you indulge in your secret joy of banning others! BTW, you have banned 26 to my 10. Gotta go now, have to make the gyros. Banned for making me have to click a link and not even giving a reason for the ban of Bigsinner. Banned for using previous reasons for banning. Banned for doing it while knowing it's a cause for banning. Ah hell! I mean heck! - It's alright you can say that here.